Silverado Pines - Backyard is full concrete with a 20'x10' alumawood patio cover that is attached to the home. MLS#2080135. USRealty.com, LLP. Silverwood Ranch - Solar screens on windows -Community park MLS#2078850. Urban Nest Realty. Silverado Courtyards - Reverse Osmosis, Tankless Water Heater, Water Softener, Sparkling Salt Water Pool Has Variable Speed Pump, Alarm/Nest/Ring/Wap Outdoor Floodlight Cameras All Included! 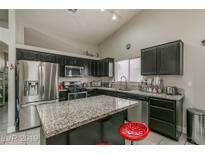 MLS#2079885. NextHome Integrity. Agate Gilespie - Home has a formal living room, formal dining room, family room that adjoins kitchen...3 bedrooms plus Den. Great home..No association fees! MLS#2079944. Elite Realty. 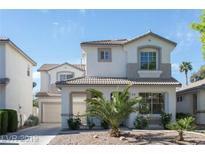 Silverado Pines - Open floor plan, pergo floors, cherry cabinets, open kitchen and so much more. Great Floor plan! MLS#2080002. Fathom Realty. 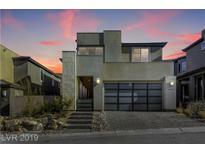 Crystal Springs - This is a must see, call today! MLS#2078308. eXp Realty. Silverwood Ranch - Come take a look and make it your home. MLS#2079407. Principle Realty Advisors. Aspendale Silverado - Good sized covered patio and the SPA in back yard is included.Water softener in garage not hooked up.Yard is very low maint. front and back. MLS#2079724. Ruthe Realty. 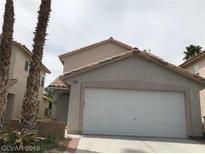 Amber Ridge At Mission Hills - Granite counter tops in kitchen * ceiling fans * blinds * Includes all appliances * Community is located across St. Rose from new Costco * Super convenient to shopping and freeways * Buyer/agent to verify all info. MLS#2079551. LIFE Realty. Maryland Le Baron - And The Property Is Clean, Clean, Clean! MLS#2079604. Coldwell Banker Premier. Maryland Le Baron - And The Property Is Clean, Clean, Clean! MLS#2079611. Coldwell Banker Premier. 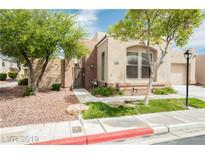 Lamplight Gardens - Close proximity to 215 and shopping centers. MLS#2079730. Coldwell Banker Premier. Cactus Bermuda - This one is priced to sell. Dont miss it. MLS#2079219. Keller Williams Realty Las Vegas. 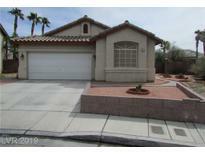 Bermuda & Pyle South - Home is located in prime location, close to I-15 and shopping. MLS#2080074. Vegas One Realty. Silverado Estates - This home will go fast so make your move today. MLS#2079321. BHHS Nevada Properties. Crystal Springs - Open Floor Plan, Carpet And Tile Flooring, Breakfast Bar, Spacious Bedrooms MLS#2079174. Advent Realty Group LLC. Huntington - Vaulted ceiling, pool, covered patio, tile/wood flooring, backsplash, covered porch. MLS#2079183. TR Realty. Silverado Estates - new pool motor and pump was just replaced 5/18 priced right and ready for new owners. MLS#2079205. 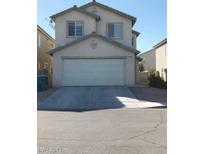 Hoopes Team Realty, Inc.
Silver Oak Estates - Book your viewing before someone else buys this lovely Southwest Las Vegas HOME!!! ! MLS#2079659. Cornel Realty LLC. Carousel Park - Just A Few Highlights To Mention , Fully Updated Restrooms , Updated Kitchen With Stainless Steel Appliance And Stunning Granite Counter Tops , Separate Custom Tub And Walk In Shower In Master Bath, No Hoa And Home Is Located Minutes To Shopping And Near By Amenities. MLS#2079137. United Realty Group. Carousel Park - Full length covered patio partially converted to a utility room. Desert landscaping front and back. MLS#2078918. Evolve Realty. Agate Gilespie - New Paint And Carpet Throughout Home! MLS#2079363. Elite Realty. Crystal Springs - Established neighborhood with pool, tennis courts & low HOA dues! MLS#2078975. Windermere Prestige Properties. Cactus Bermuda - Community features two pools and two play grounds MLS#2076951. BHHS Nevada Properties.